As a physician, Dr. Pheba Zachariah's desire is to provide her patients with information so they can make the best decisions for their health. She enjoys treating the entire family including children, adolescents, adults and seniors. Her areas of clinical experience include prevention and wellness, health screenings and diagnosis and management of acute and chronic illnesses. 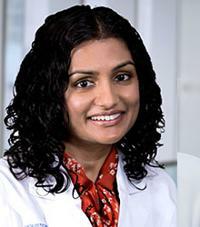 Dr. Zachariah is board-certified as a family physician by the American Board of Family Medicine.